The Gold Coast has claimed a larger stake of Queensland’s business events market as latest figures reveal an upward trend for meetings over the last financial year. The Gold Coast attracts 44 per cent of all conferences in Queensland, according to the latest Queensland Business Events Survey (QBES). “The latest data reaffirms the Gold Coast’s business events market share continues to be propelled by a combination of world-class infrastructure, diverse experiences and increased accessibility – in the heart of Australia’s holiday playground,” said Destination Gold Coast CEO Annaliese Battista. The survey also highlighted higher average delegate numbers per meeting for those attending Gold Coast conferences. 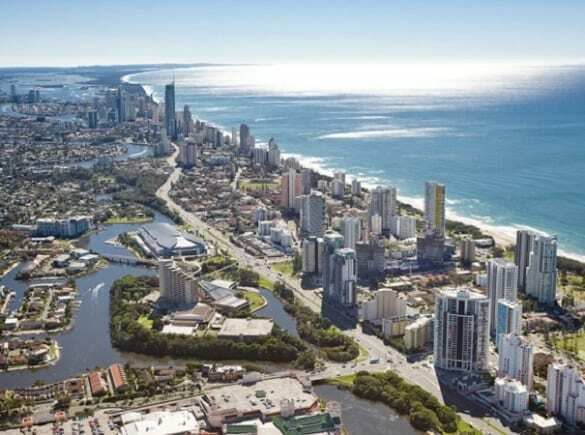 “The Gold Coast is a city delegates hope their company or association choose for their next meeting, with 14 per cent more delegates on average signing up for a conference in our city,” she said. The Gold Coast already boasts the longest stay by business events delegates in Queensland, accounting for 3.1 days in the region. “The results reflect the confidence and proactive approach of the city and industry partners to constantly reinvent our tourism and business events offering,” she added.